The broken washing machine? Looking for a reliable dishwasher repairman? The refrigerator does not freeze? Do you need urgent repair? Our experts will help to correct any breakage within a day from the moment of the application! We will qualitatively eliminate any malfunction of your home appliances. Starting from simple blockages and stuck any objects to complex work with the replacement of parts. We work with any brands of washing machines. We give a guarantee for all types of our work. It is also very important that the repair of household appliances was made using original spare parts from the manufacturer, we always have them and we are responsible for their quality! Our company has been providing home appliance repair services for many years. 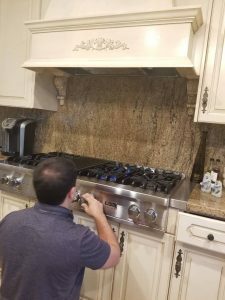 We repair refrigerators, washing machines, dishwashers and dryers, built-in appliances, air conditioners and other types of household appliances. Our experts provide services for high-quality work of household appliances. How to order a repair? What kind is your home appliance repair – its brand and model. For example, the washing machine Zanussi ZWSH 6100 V.
What happened to your technique. For example, the refrigerator does not freeze, etc. On the morning of your chosen day, the specialist will phone you again and agree on the time of your arrival.